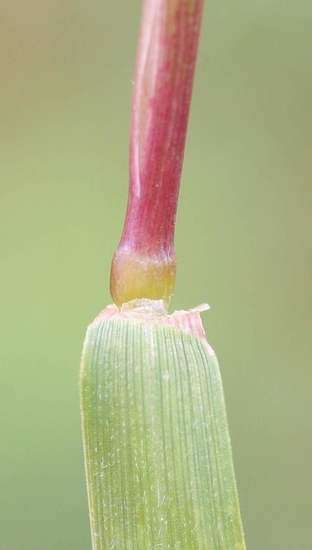 Leaves are rolled in the bud and without auricles. Leaf blades may reach as much as 8 inches in length and range from 1 1/2 to 6 mm in width. 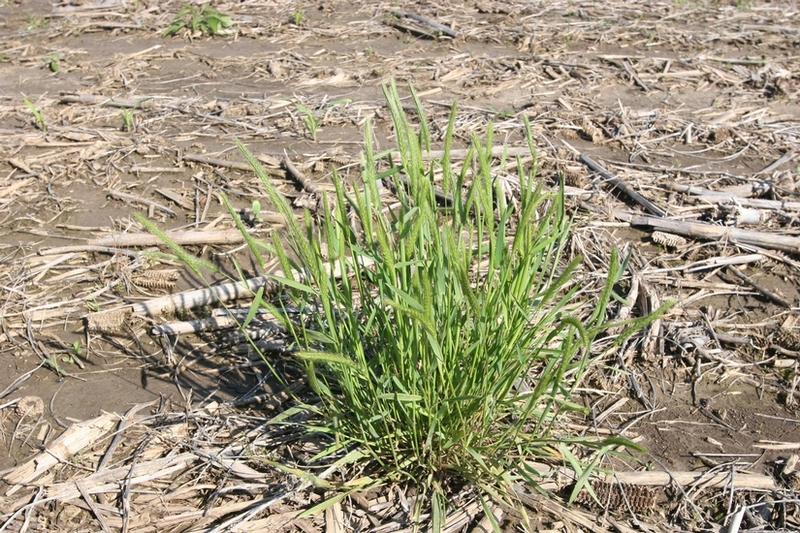 Leaves may be without hairs or may have short hairs above and below. Leaves have a membranous ligule that is cut squarely across the top and not tapered or rounded (truncate). 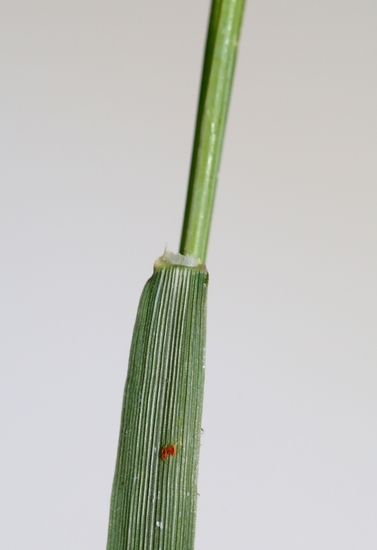 Ligules are very small and usually range from 0.2 to 0.6 mm in length. 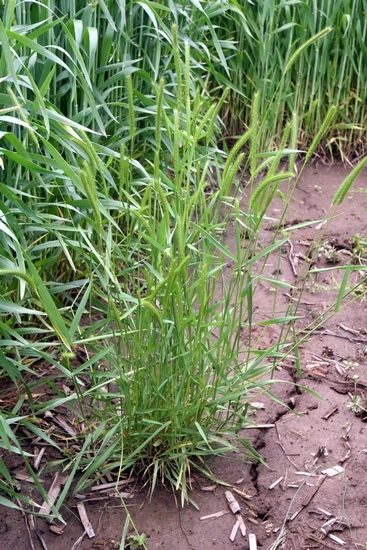 Little barley ranges from 4 to 24 inches in height. 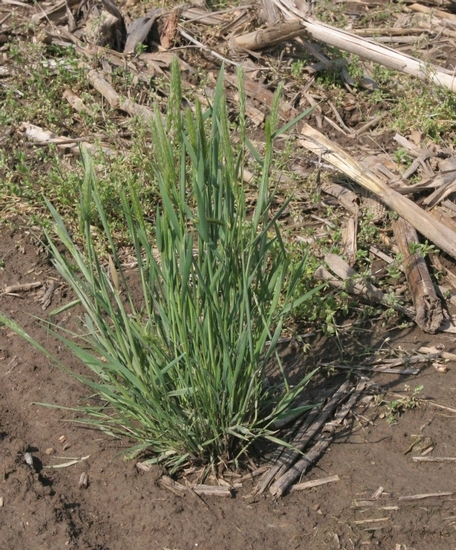 Stems turn brown in the spring once this plant has matured. Leaf sheaths are round and usually without hairs but may occasionally have hairs present. The sheath also has split, overlapping, translucent (hyaline) margins. Seed heads consist of flattened spikes that also turn tan to brown when mature. 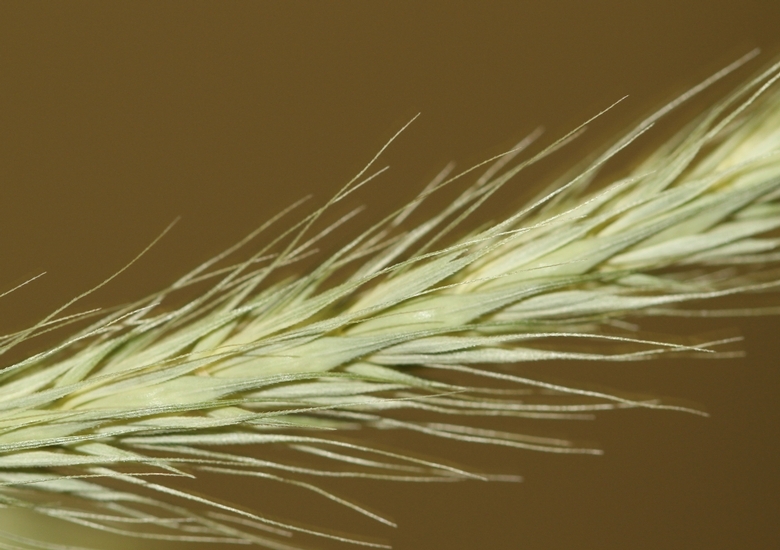 Each spikelet contains awns that may range from 2 to 12 mm in length. A small winter annual grass that generally has a bluish-green color like that of many winter small grains. 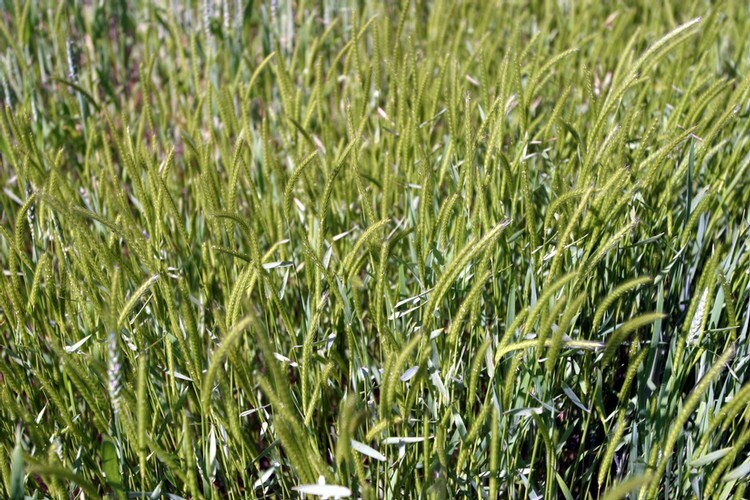 Additionally, little barley turns distinctly tan to brown in color in the early spring when mature. 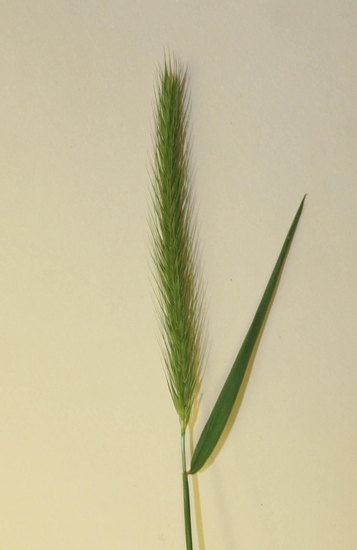 These characteristics, along with the grain-like seedhead, help to distinguish little barley from most other winter annuals.